The rapid pace of change, with new technology and ever-evolving, better genetics sends a message to today’s cattle producer: don’t do things the way Dad and Grandpa always did. 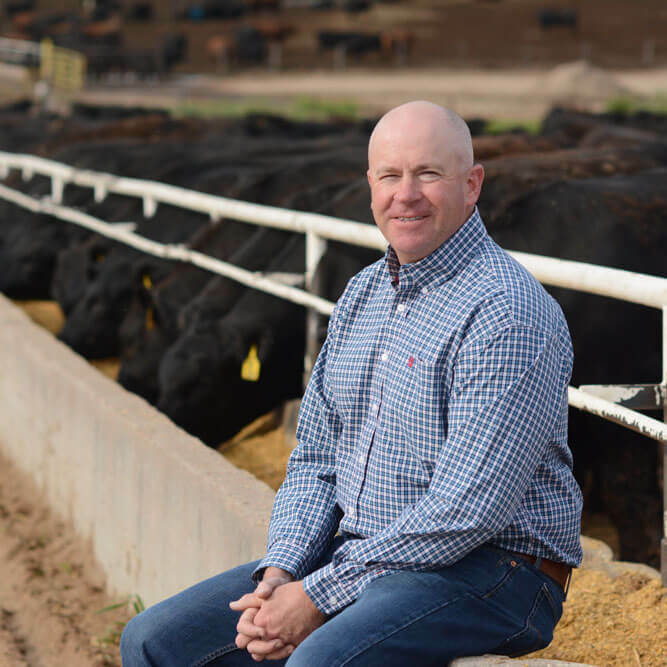 At his feedyard near Wray, Colo., Grant Bledsoe knows there’s a time for change, but his greatest strength may be knowing there’s a time to stay the same. “We buy predominately Angus-based cattle from the northwestern United State and some ranches we have purchased from going on close to 35 years,” he says. “Grandad” Henry started relationships that have carried into the third generation of both feeders and ranchers. Sometimes, the best plan is exactly what Dad and Grandpa always did. 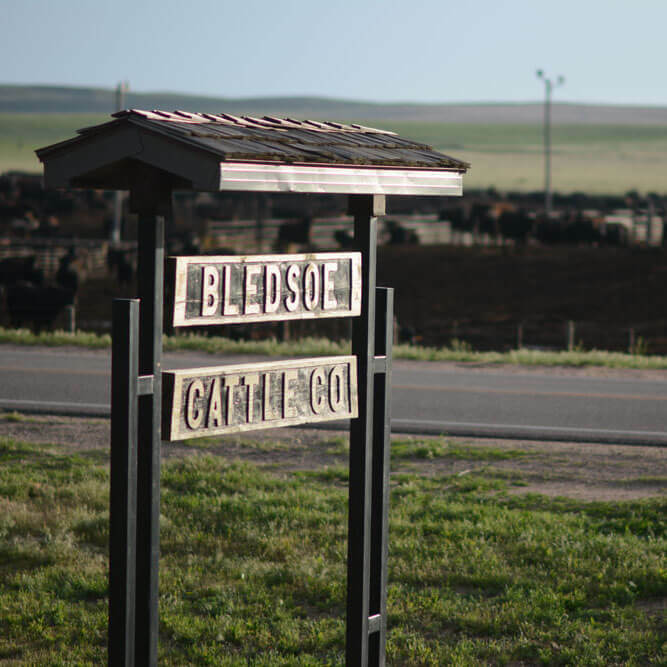 For their continued focus on procuring and feeding high quality, Bledsoe Cattle Company earned the Certified Angus Beef ® (CAB®) 2018 Feedyard Commitment to Excellence award. 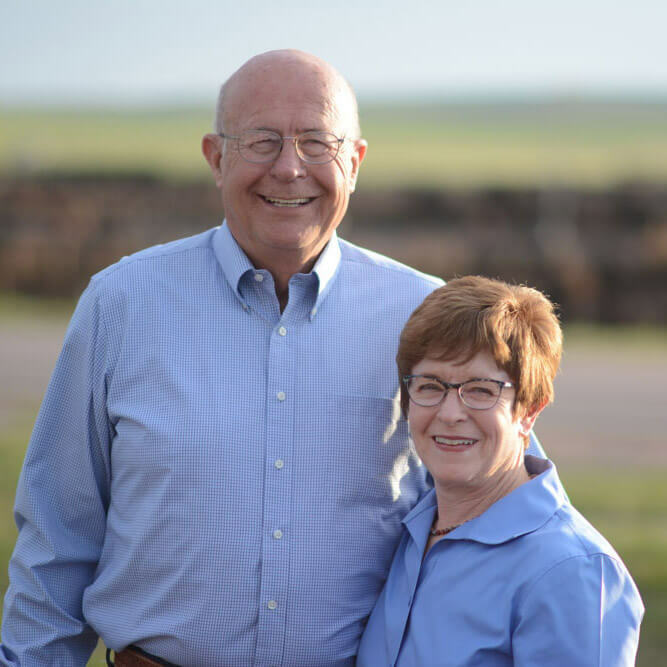 Henry and Lucile Bledsoe started the farming, ranching and cattle feeding operation that now has a 7,000-head finishing capacity. Row crops and grasslands complement the yard, as they produce their own feed to wean and background most of the calves that come into their pens. Back then, Henry would keep books by hand, packing up the roll-top desk each night to bring home to Lucile. The spare bedroom doubled as a home office, and she’d get out her adding machine to make sure they balanced. It was one way Lucile could contribute while raising the couple’s son and daughter. “There was the two of us. We worked side by side, always full partners,” says 96-year-old Lucile. Then came Bob and Becky. They had a computer the size of a filecabinet. Grant checks his markets by smartphone. The old gated pipe irrigation has given way to pivots. When driving to cattle sales began to take too much time (thanks to President Nixon signing the 55-MPH national speed limit law) the four elder Bledsoes got a plane and a pilot’s license apiece. Lucile still flies a Beechcraft. Grant inherited the aviation itch, too, and sometimes 96-year-old grandma and grandson fly together to look at cattle. When Grant returned from Colorado State University in 1998, all three generations worked together. Henry was still out at the feedyard every day. Grant doesn’t drink coffee because, well, his dad and grandad didn’t. Bob and Grant still get to the feedyard at 5:30 a.m. most every day, gathering at the scale house with many of their 18 employees for a quick predawn meeting to make sure the crews all know what’s going on. It’s their favorite time of day. “Everything is getting ready to go, feed trucks are rolling and it’s cool. The cattle are coming up to the bunks,” Grant says. Once a week, the family meets at the yard, giving most of the feedlot crew the day off. It’s a tradition that’s been passed down so now Bob and Becky might join Grant and his wife, Katie, and their three kids, Jackson, Emma and Eryn on any given Sunday. “It’s good planning time, but it’s a way we know exactly and intimately how the cattle are doing,” Bob says. Fall is the busiest, as they wean 8,000 head during a narrow window. Most come through the feedyard to be weaned before going out on corn stalks; some are shipped directly up to their stocker ranch in Harding County, S.D. The heaviest calves are sorted to go on a starter ration. Part of it is just getting the ranch cattle accustomed to being worked. “My father used to say the only way to move cattle fast was slowly, and that’s very much true,” Bob says. 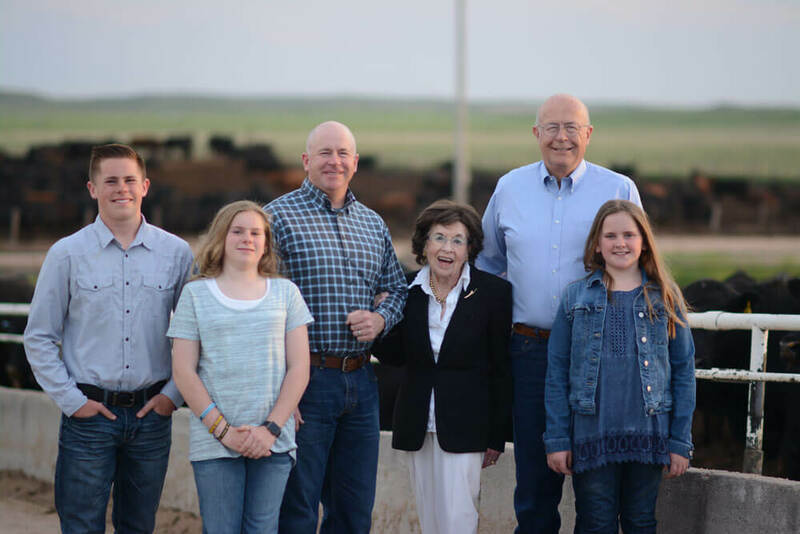 Justin and Lynn Mayfield’s cattle have been taking the 8-hour journey from their Casper, Wyo., ranch to Bledsoe Cattle Company since Lynn’s parents first sold to the family in 1988. “We each kind of understand each other’s programs and we’ve got the same goal. We work together to keep the families and the next generation involved to turn out the best protein we can,” Justin Mayfield says. When Bob and Becky come in October to take delivery of the cattle, the couples visit like the old friends they are. Last year, the kids even got an impromptu lesson on paleontology from Bob, who is a bit of a self-taught dinosaur enthusiast. He got interested after discovering his first Triceratops bone on their South Dakota ranch. Call it family tradition or just good business, but many of Lynn Mayfield’s uncles, cousins and kin sell cattle to the Bledsoes. The rancher is just one of many who come to see their cattle on feed. They’ll talk about management tweaks and bloodlines. Thanks to Emma and Eryn’s tag-making handiwork, the cattle are all identified back to the ranch of origin, even though they’re split into as many as five groups and comingled as they enter the finishing stage. That ID allows the feeders to make observations and share packer data with the producers. “We think it’s really important to have good communication over all segments of the industry,” Grant says. In the early 1960s, Bob remembers jumping in a semi after basketball practice, and he and his dad would each take a load of finished cattle to the Monfort (now JBS) plant at Greeley. They’d get home at midnight and turn around to do it again the next night. A lot of things have changed. The Excel, now Cargill Meal Solutions, plant at Fort Morgan became their go-to packer 30 years ago. The Bledsoe semis now run the roads with hired truckers—but their desire to deliver the kind of cattle Cargill wants has remained constant. The feedyard is almost entirely full of Angus-influenced cattle. Passersby might notice a uniform sea of black that hugs the west side of Highway 385 just a few miles north of Wray. “That’s what Cargill prefers, and we generally like the breed, too,” Bob says. It’s about more than looking good from the road. In a decade’s time, he’s watched the quality grade get better and better. They used to average between 15% and 25% CAB brand acceptance, but now sell loads that top 50%. “It’s just amazing how quickly those genetics have improved,” Grant says. Over the past three years, nearly 18,000 head per year have averaged 89% Choice and 25% CAB acceptance. In the first half of 2018, they hit 40% brand acceptance. As a teenager, Grant started by running a feed truck, walking pens and fencing. Today, his 14-year-old son cites those same tasks as his favorite chores. A time to stay the same. “I just love what I do and I love raising my family in a similar situation. I can’t think of anything I’d rather be doing than what I get to do on a regular basis,” Grant says. Just like Dad and Grandad. Why do we call substantial disasters “perfect” storms? It feels like an oxymoron. The title perfect storm seems a more fitting descriptor for the rain that comes just in time to break a drought, or the swirling clouds that bring rain but never materialize into a devastating cyclone. The drama still unfolds, but disaster doesn’t follow. There’s no doubt, cattle that earn the Certified Angus Beef ® (CAB®) brand or Prime grade also earn premiums. In 2017 alone, packers in a biannual survey reported paying cattle owners $75 million in grid premiums specifically for CAB. 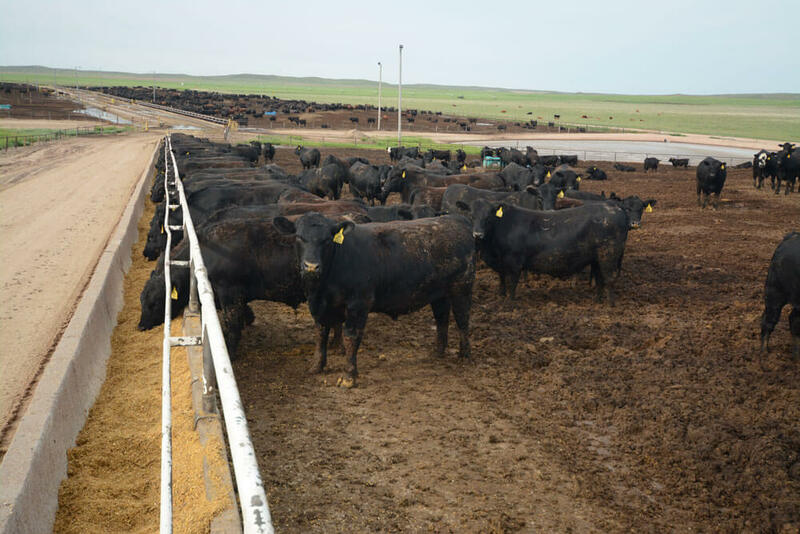 In the heart of South Dakota—a state ranked fourth in yearly Angus registrations, where all cattle outnumber people four to one—there’s been a bit of a desert for marketers of high-quality fed cattle. Many finished animals are still shipped to neighboring states for processing, but DemKota Ranch Beef, a packing plant in Aberdeen, S.D., is looking to keep a higher percentage of them close to home.